Following his meandering Sidewalking: Coming to Terms with Los Angeles, author David Ulin joins forces with Paul Kolsby (writer and producer of the 2009 Ashton Kutcher comedy Spread) for a novel that’s as hyperlocal as it is hyperbolic. From the 101 to the 405, from the Formosa to USC, this is a story of Los Angeles—and Los Angeles’ biggest fear. It’s 1995 and the news of an impending earthquake is bad news for the city but great news for a Hollywood production company planning a massive disaster movie. With the intent to leverage the destruction of the giant quake to build buzz for their film, the company is poised to turn tragedy for profit. In the face of Hollywood money-grubbing of such a massive scale, only seismologist Charlie Richter (see what they did there?) has what it takes to save the city—or so, at least, he thinks. 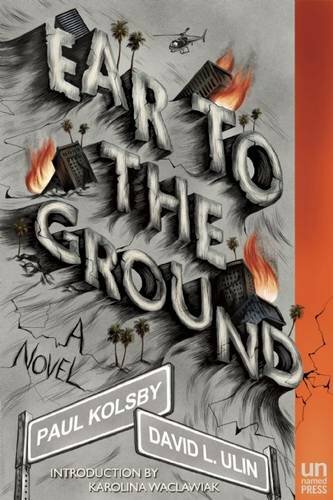 Ear to the Ground is fast-paced and clever, and there’s at least one devastating explosion (which, granted, is less of a selling point in a book than in a movie, but still). From the reliably quirky Unnamed Press, this is one for the locals. Club not your scene? Here’s a guidebook for those who just want to stroll through a garden and listen to birdsong. The fourth in a series of Quiet guides, it offers up sweet respites across the city. Libraries, museums, trails, cafes, bookstores, and other places to sit and be still are among the corners of the city Razo has compiled. (An L.A. police officer for ten years before getting into publishing, she knows her way around town.) Many locations—Griffith Park, say—you’ll know well, but it’s the delightful, lesser-known gems—like the Earl Burns Miller Japanese Garden—that make this book a keeper. 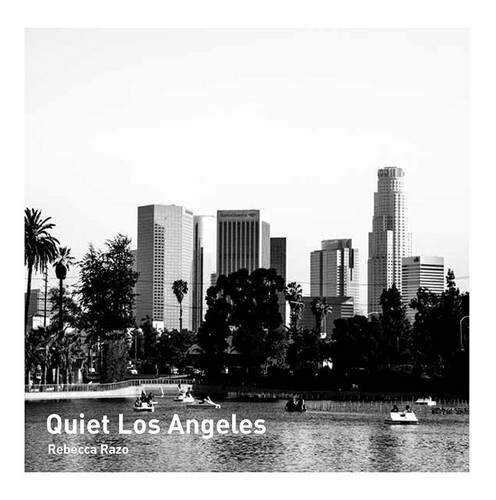 With a clean design and serene photographs, Quiet Los Angeles is the perfect gift for a new-in-town friend, and it looks real nice on a coffee table. When East, a young gang member in inner-city L.A., botches a job keeping watch for his uncle’s drug house, he has a long way to go to earn back respect. To reestablish his trustworthiness, he must lead a gang of boys—among them his firey younger brother—to murder an important witness who has fled to Wisconsin. For the first time, East leaves the familiar, if gritty, surroundings of his childhood, an sets out into an alien world. Intimate and intense, Dodgers is a gripping coming of age tale that evokes Salinger’s Catcher in the Rye. 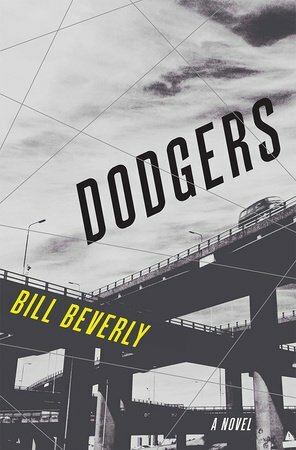 It’s Bill Beverly’s debut novel—his previous nonfiction book delved into the stories of criminal fugitives—and his potent, direct prose will lure you in from the first page. We’re not really sure what to make of Angels and Airwaves frontman Tom DeLonge’s latest novel/music/documentary project/excuse to sell tons of merchandise. In the case of the novel, he’s teamed up with New York Times bestselling author (and master of adventure novels) A.J. Hartley to produce a work inspired by true events, ones which involve government coverups and futuristic technologies. 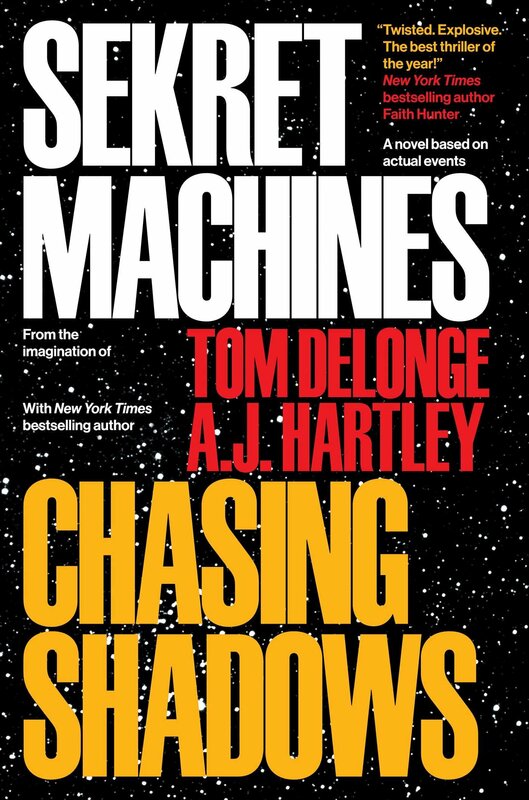 Delonge claims to have spent a year meeting “elite advisors” who have held “the highest positions within the military, scientific, and executive branch offices” to gather material for this book. He also claims to have seen a machine that transforms into a ball of light and practically teleports, so make of that what you will. It’s the first in a forecasted trilogy based around the subject of “Unidentified Aerial Phenomena”—and, fact or fiction or both or whatever, it’s certainly intriguing.